The chairs from the About A Chair collection by Hay are deliberately simple and plain to be easily combinable with other furniture. Due to its simplicity they fit perfectly in diverse environments and architectural styles, which is why the chairs are also suitable for others than only the home area. According to designer Hee welling the About A Chair-chairs are supposed to feel at home in the restaurant or in the canteen, just like in the office, at the dining table at home or a conference table. In this context, the idea of simplicity became a guarantee for functionality and compatibility. The AAC 50 is the height-adjustable version of the popular Chair by Hay - the seat height is adjustable between 42 and 55cm. 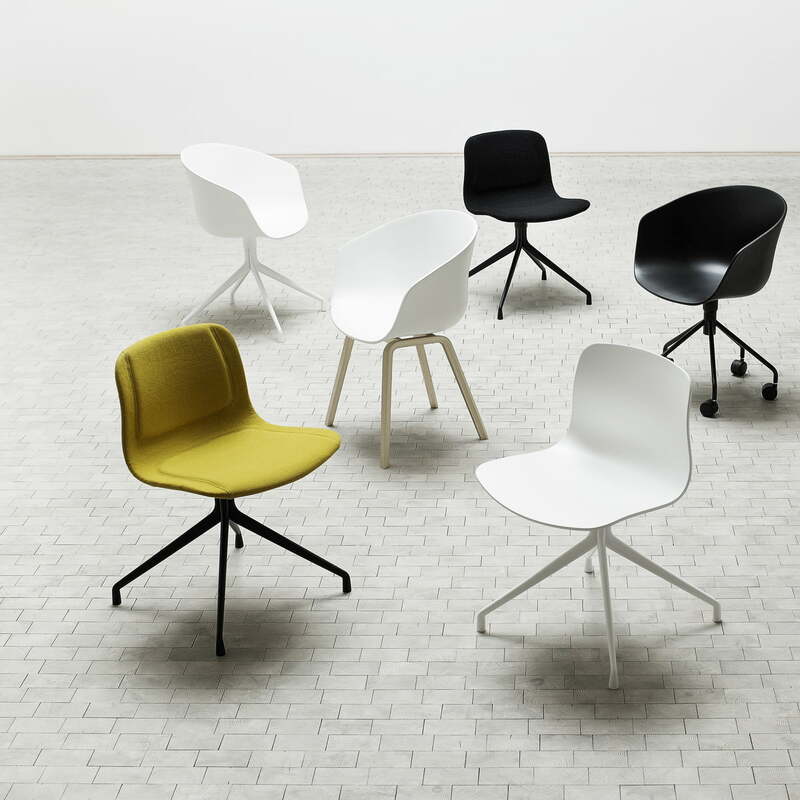 The seat without armrests is composed of dyed through polypropylene and has an ergonomic shape. 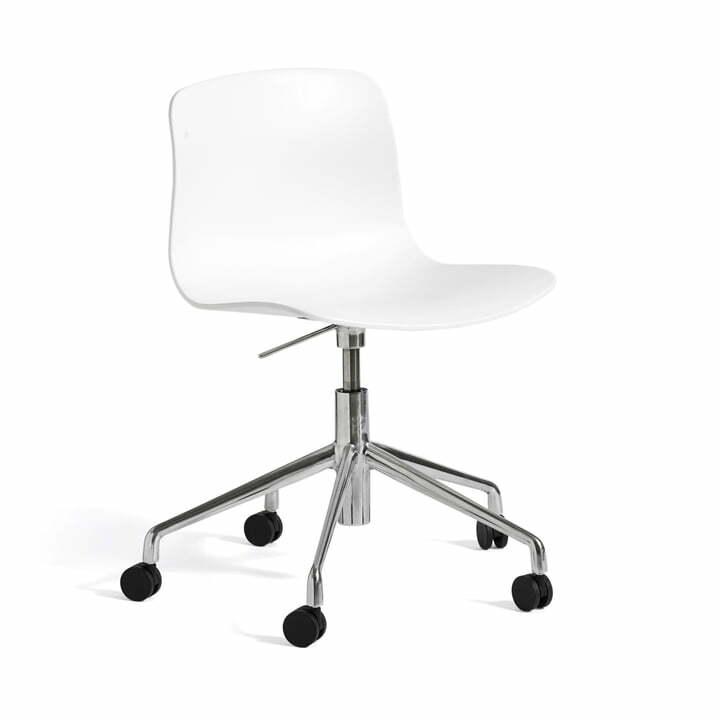 The chair’s five star base made from aluminium is polished or powder-coated and available in different colours. The height adjustment is made easy by pulling the lever under the seat and either sit on or get off the chair. The castors on the swivel chair complete its flexibility, so that the Hay office chair offers maximum comfort at work.